Diseases transmitted by mosquitoes include: Malaria, Dengue, West Nile Virus, Chikungunya, Yellow Fever, Zika Virus, and other diseases. Scroll down to find information on prevention, West Nile Virus, and Zika Virus. The goal of the vector prevention program is to prevent and control the transmission of disease, infestation of structures and other problems association with insect infestations. Environmental Health Staff collect dead perching birds such as crows, robins and blue jays. Suitable birds will be submitted for testing for the presence of West Nile Virus. Environmental Health Staff also have multiple mosquito traps around the county to collect mosquitoes to test for the presence of West Nile Virus. Dispose of discarded tires, cans, plastic containers, ceramic pots or other unused similar water-holding containers that have accumulated on your property. When it is necessary to be outdoors, apply insect repellent as indicated on the repellent label. The more DEET a product contains, the longer the repellent can protect against mosquito bites. However, concentrations higher than 50 percent do not increase the length of protection. For most situations, 10 percent to 25 percent DEET is adequate. Apply repellents to clothes whenever possible; apply sparingly to exposed skin if label permits. Consult a physician before using repellents on young children. West Nile virus (WNV) is a potentially serious illness that flares up in North America in the summer and continues into the fall. Most people (about 4 out of 5) who are infected with WNV will not show any symptoms at all. Some people who are infected can develop a low fever, headache, body aches, nausea, vomiting, and sometimes swollen lymph glands or a skin rash on the chest, stomach and back. Symptoms can last for as short as a few days, though even healthy people have become sick for several weeks. There is no specific treatment for WNV infection. In most cases with milder symptoms, people experience symptoms such as fever and aches that pass on their own. In more severe cases, people usually need to go to the hospital where they can receive supportive treatment including intravenous fluids, help with breathing and nursing care. Milder WNV illnesses usually improve on their own, and most people do not necessarily need to seek medical attention for this infection though they may choose to do so. People who develop symptoms of severe WNV illness, such as unusually severe headaches or confusion, should seek medical attention immediately. 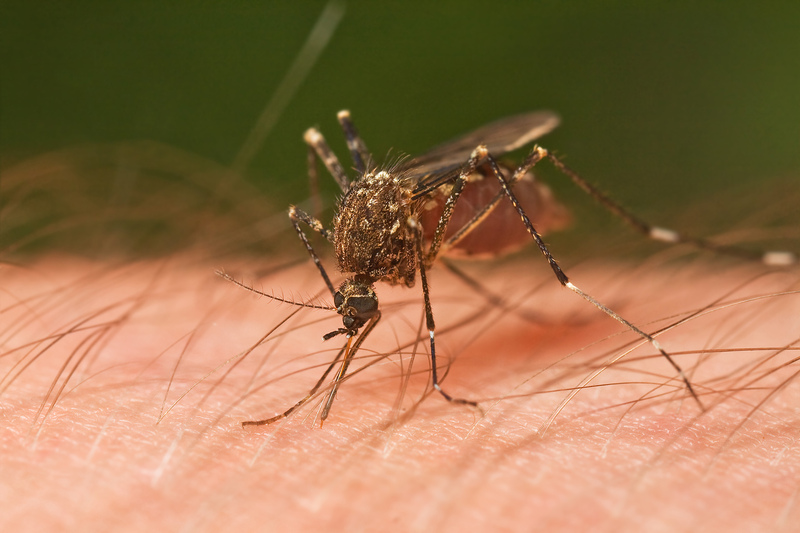 People over the age of 50 are more likely to develop serious symptoms of WNV if they do get sick and should take special care to avoid mosquito bites. Zika Virus Disease is a disease caused by the Zika Virus, which is primarily spread to people through the bite of an infected Aedes species mosquito. Zika virus is transmitted to people primarily through the bite of an infected Aedes speciies mosquito (A. aegypti and A. albopictus) These are the same mosquitoes that spread dengue and chikungunya viruses. How is Zika Virus Diagnosed and Treated?